• Outdoor Screen: Clearly shows the available number of parking lots and help driver to know if the parking is occupied or empty. • Info Screen: Clearly show the car plate info for driver, to indicate driver related information when barrier doesn’t open and help driver to acknowledge the vehicle plate. 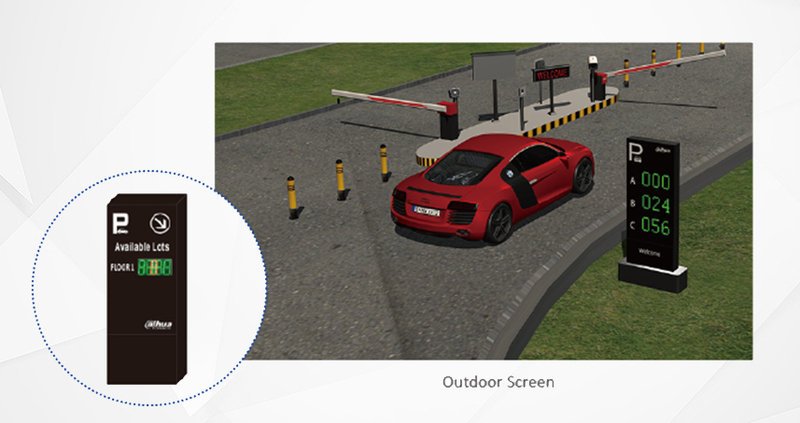 • ANPR Camera: Capture and recognize the vehicle plate with video & loop detection, relay out to enable the opening of the barrier and improve the entrance efficiency and safety. 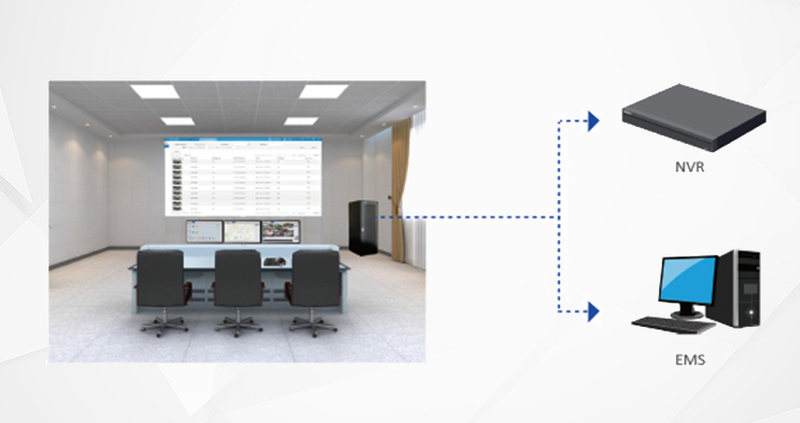 • VTO: Inter-communication with security center when ANPR function fails to reduce the necessity of guard on-site. • Barrier: Automatic open with remote authorization and close with loop detector. Clear indication of available parking lots to guide the visitor and to reduce the efforts of parking lot search. For a 3-4 meter-width entrance, ANPR camera can detect the moving car in 3-8 meters distance with the assistance of video & loop. number is already registered in whitelist. Once the number plate is recognized successfully, the info screen will indicate the plate number, helping driver to acknowledge. Once the ANPR function fails, the info screen will indicate “Please press the emergency button” via text and speaker, the driver could press VTO button to call security center.